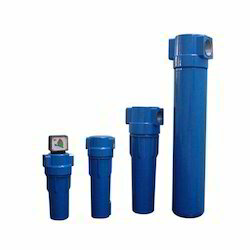 Our range of products include sub micro filters, blue micro filter, ss sub micro filter, micro filters and ss micro filters. We are a paramount organization that is engaged in manufacturing, supplying and exporting Sub Micro Filters. Aluminum ally cartridge is used in the manufacturing process of the offered range. 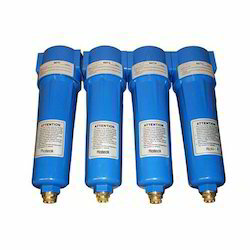 These filters have simple screw type structures and are the very convenient replacement of filter element. 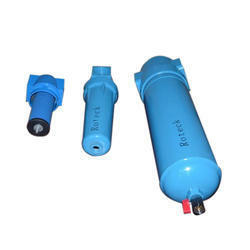 We are an eminent organization that is engaged in manufacturing, supplying and exporting Blue Micro Filter. Aluminum ally cartridge is used in the manufacturing process of the offered range of filters. Post-production, these filters are thoroughly inspected on certain parameters of quality to ensure their defect-free nature. 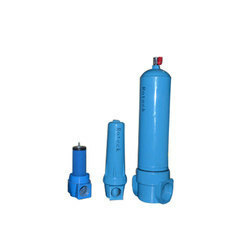 We are an eminent organization that is engaged in manufacturing, supplying and exporting SS Sub Micro Filter. SS Micro Filters are moistures and dust in the untreated air. There are about 140 million solid particles in the air of one stare. The oil particles come into the treated air in the course of compression and lifting pressure. If the impurities aren't removed, they will corrode the pipe, valve, gauge, and equipment, reduce the life and increase the production cost and the quality will not be ensured. 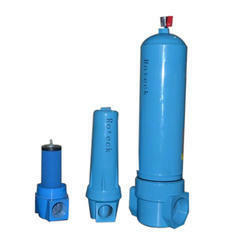 The compressed air is the main safe energy sources for the large-scale industrial production. Our high-efficiency filters with Roteck brand can completely remove the water, oil, and impurities in the compressed air.